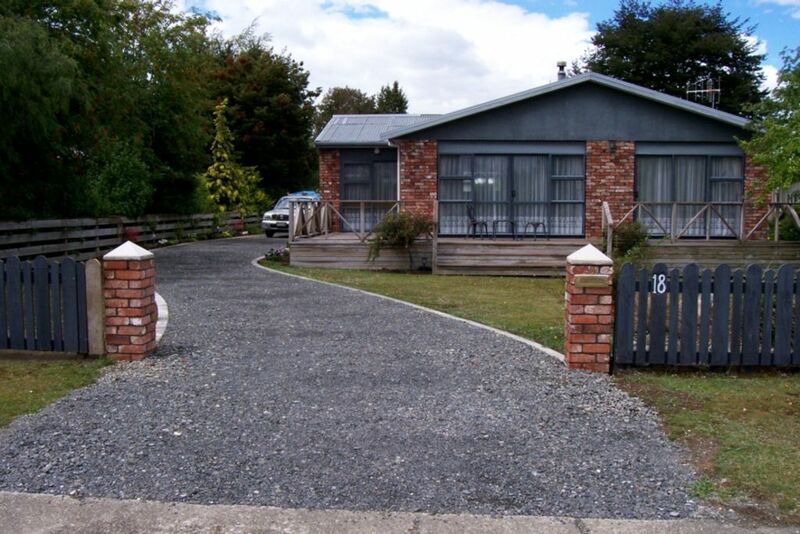 Te Anau is located 2 hours drive south of Queenstown Airport and has many internet cafes, over a dozen restaurants, modern supermarkets a variety of shops, swimming pool, tennis and squash courts, cinema (for rainy days), medical centre and dental and optician services. The library has computers and free Wi-Fi internet. THINGS TO DO: Heli-hike in Fiordland National Park, cruise the fiords at milford or doubtful sound. Golf course, scuba diving, sea and lake kayaking, horse trekking, jet boating, mountain biking, fishing, many walking tracks, boating and water sports on beautiful lake Te Anau and much much more. Having been on many cruises we can recommend the Doubtful Sound and Milford Sound cruises. We love our cottage and find it cosy in the winter and in the summer there is a large back yard to enjoy by having a barbeque playing cricket or just lazing about in the sun. Lots of room to park the boat and lots of board games jigsaws dvds in case its wet. Great mountain views from the lounge sunroom main bedroom and of course the large deck at the front of the cottage. A two minute walk to the lake and a five minute walk to the town centre where you will find two supermarkets and lots of restaurants. Lots of trip to be found enjoying the sights of Te Anau. The cottage has wonderful views of the Murchison mountains which are ever changing depending on the weather. Very comfortable house with all mod cons. And a DVD collection. Spacious home with all the amenities, and with a very homey feel, and we'll tended gardens. We had a very happy time staying here and the lake was literally down the road. Local shops were a 10 min walk away with plenty of options for eating in or takeaway. After an all day tour to Milford Sound we were very glad to get back and collapse in comfort. A very central house with all the trappings of a short stay house. Has a great homely feel with basic pantry necessitys. Would stay again if we where down that way. The place was as above. Had pretty much everything that we needed and round corner from restaurants and shops. Nice family home feel about it.There could have been a few more thoughtful touches. No way of making coffee and no cooking oil, cooking equipment a bit worn out. Owner although quite friendly could be a bit defensive when texted with asking the whereabouts of items. A lovely quiet location, close to the lake. The cottage was very clean and comfortable, with a very well equipped kitchen. It was great to sit out in the garden, in the evening sunshine, sipping wonderful New Zealand wine. This property was very accommodating for us. The property has lots of room and is very well organized. Some of the rooms were a little dated but still very functional for the stay. Unfortunately, we did not lengthen our stay, as we headed out to Milford Sound for the day following our arrival and then left the next day. It would have been a pleasure to remain for a down day at this accommodation! Our cottage is a five minute walk to the town centre and a two minute walk to the lake. There are many activities available through Real Journeys or a small tour with Takatimu tours well worth doing an insight into sights around the town.